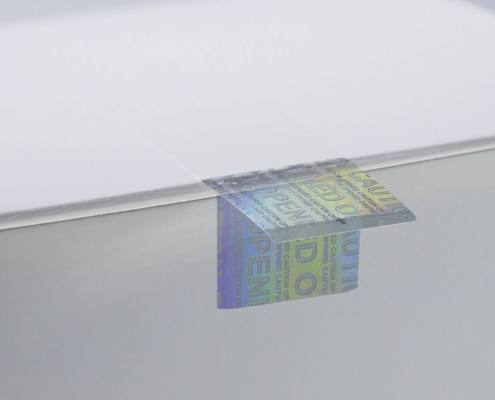 The multifunctional Covert-Hologram Seal makes it particularly difficult for counterfeiters to circulate their illegal medicines unnoticed. 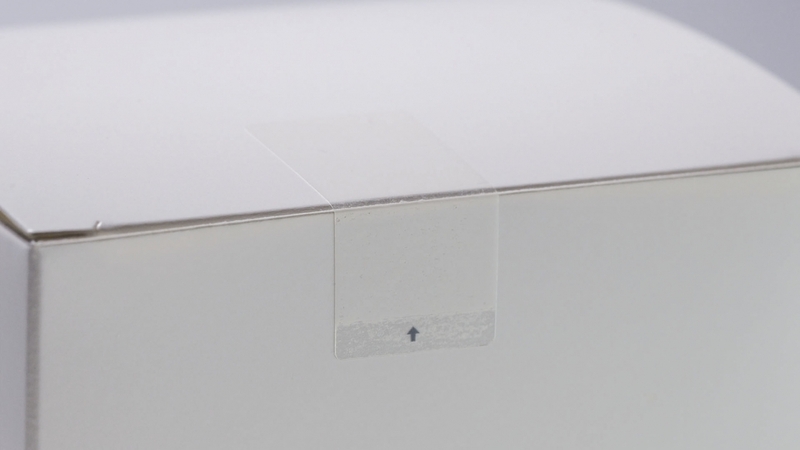 The innovative closure seal is transparent, inconspicuous and appears like a simple packaging seal. 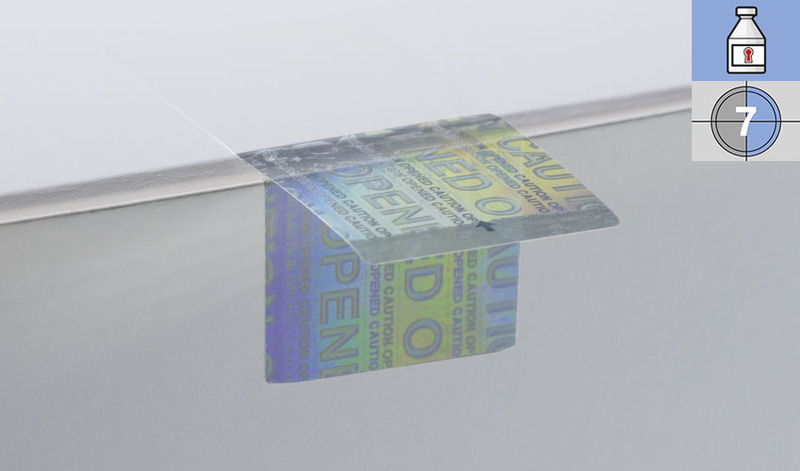 But when the seal is opened for the first time the initially invisible effect becomes visible: a hologram emerges that shows various inscriptions and design elements in different colors depending on the viewing angle. The decisive security feature here is the irreversible holographic effect because the original, completely transparent condition of the seal cannot be restored. Manufacturers, suppliers and consumers can thus tell at first glance whether the packaging was previously opened or if they are holding an originally packaged medicine in their hands. 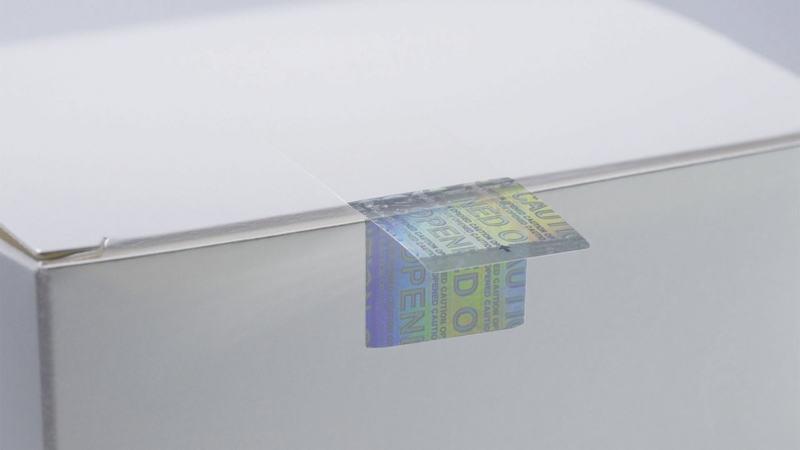 The Covert-Hologram Seal offers even more benefits: The specialty closure seal for pharmaceutical packaging developed by Schreiner MediPharm has additional, covert anti-counterfeiting features embedded in the hologram. 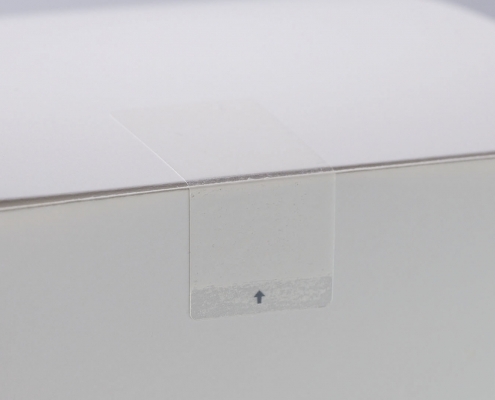 Thus, the Covert-Hologram Seal effectively combines the reliable first-opening indication required by the EU directive with additional counterfeiting protection in a single seal, enhancing security throughout the entire supply chain.